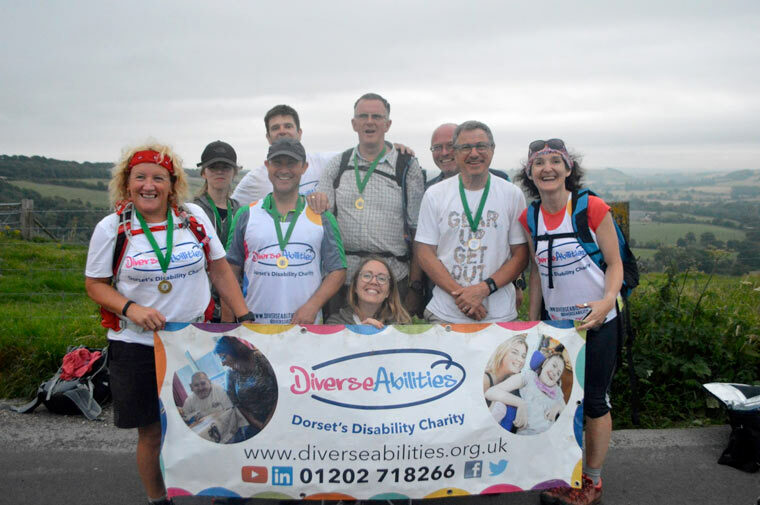 On 29 September you can join Dorset’s disability charity, Diverse Abilities, and take on this unique opportunity to trek the three highest peaks in Dorset during a 12-hour hike across the Dorset hills. Participants will trek 26 miles across the Wessex Ridgeway and to the peaks of Lewesdon Hill, Pilsdon Pen and Bulbarrow Hill. These are the three highest peaks in Dorset and within one day you will be ascending a combined height of 1,350 metres – higher than Ben Nevis. To take part in the Dorset Three Peaks event, an entry fee of £35 applies and a minimum fundraising target of £265 is requested. If you book your place before 1 April you can receive a £5 discount. Diverse Abilities say your fundraising could achieve the daily cost to run the advice service to provide guidance and support, specialist toys for children with disabilities, a day’s vital medical supplies for the children at the charity’s specialist school, and much more. If trekking isn’t your thing, find out what other events Diverse Abilities has to offer by visiting their website at www.diverseabilities.org.uk/events or call the fundraising team on 01202 718266.